The Internet of things (IOT) is a network of devices connected to the internet. These are physical devices like vehicles, home appliances, home networks and even cameras. Such devices have the ability to be accessed remotely and even send data to remote monitors. There are many applications for the Internet of Things (IoT). It is already used in smart homes to some extent. An airline has the ability to track equipment remotely and even perform some maintenance. This is very useful in terms of keeping the aircraft operational and it also saves time and makes it possible for the airline to reduce the cost of air travel and also be more efficient. 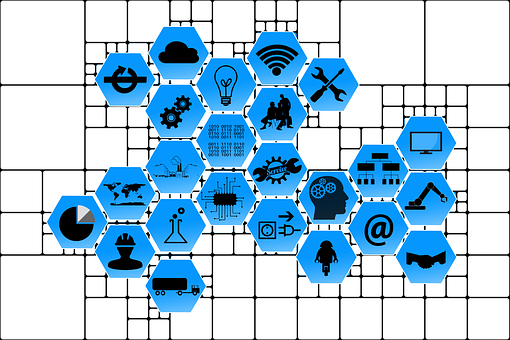 There are many applications for the Internet of things (IoT) in the manufacturing industry as well. There are many Smart Apps that have been designed for the mobile devices to monitor IoT sensors. These apps can monitor photosynthesis and other factors like power consumption. There are many IOT App Development companies that can help with such applications. The Internet of Things (IoT) has a plenty of applications in the field of medicine as well. It can be used to remind patients to take their medicine on time. It can also be used in hospitals to monitor the various machines that are used for the patients, like the heart accelerator etc. There are several fitness devices available that connect to a personal mobile device to log the user’s physical activity. There are many such devices with a range of features. There are many application for such IoT devices. They can be used by insurance companies to monitor their customer’s activity and provide a wide range of offers. Besides which these the data can also be used by the personal trainer or the sports club that is helping the individual with their activity routine. Alakmalak is involved in IOT Web Development and has many skilled and experienced developers for the task. These developers use the state of the art resources at their disposal. Magento Framework – How To Edit Google Map On Your Template?